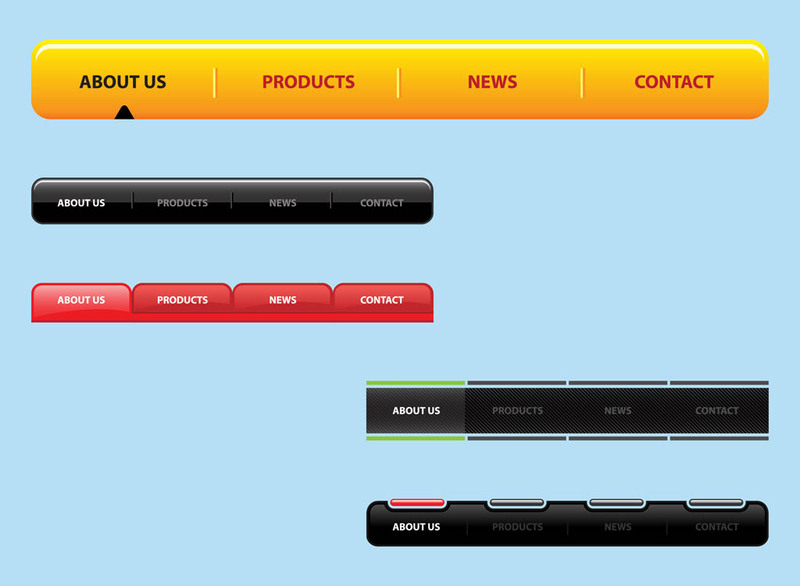 Internet vector graphics of various website navigation bars. Different layouts with tabs reading “about us”, “products”, “news” and “contact”. Glossy geometric interface design to create online, websites, web, technology, tech, shopping websites and commerce visuals. Free vector navigation bars. Tags: Interfaces, Internet, Navigation Bars, Online, Tabs, Web, Web Templates.